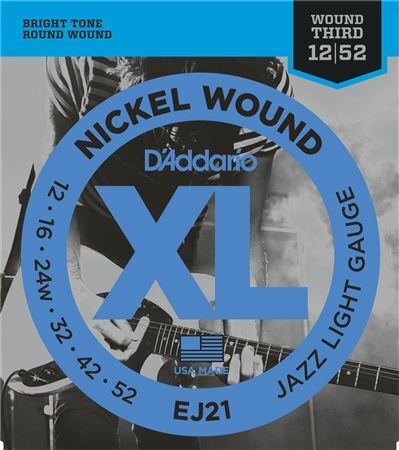 Order your D'Addario Nickel Wound Jazz Electric Strings Light with Wound 3rd from AMS and enjoy Fast & Free Shipping. Get the Best Deal with our Lowest Price Guarantee & Great Customer Service! 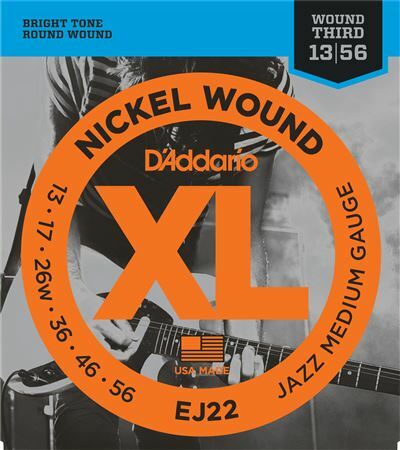 D'Addario's most popular round wound jazz set, features a wound 3rd/G string for greater resonance and a tighter feel. These great strings can also be used for down tuning.